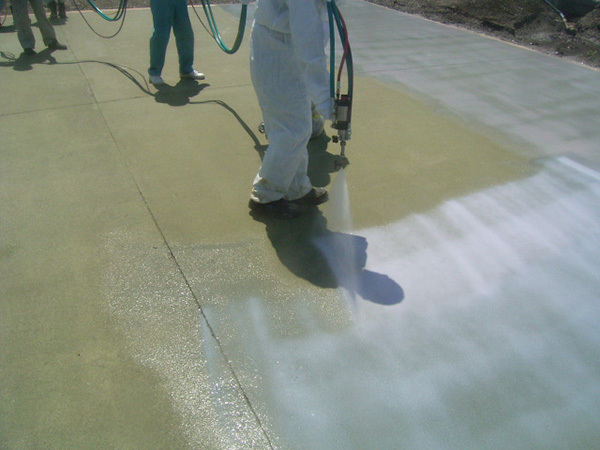 The HQ RUBBERSOID construction method is a highly durable sheet-type deck slab waterproofing construction method (Hot applied asphalt bonding) for use on concrete deck slabs. 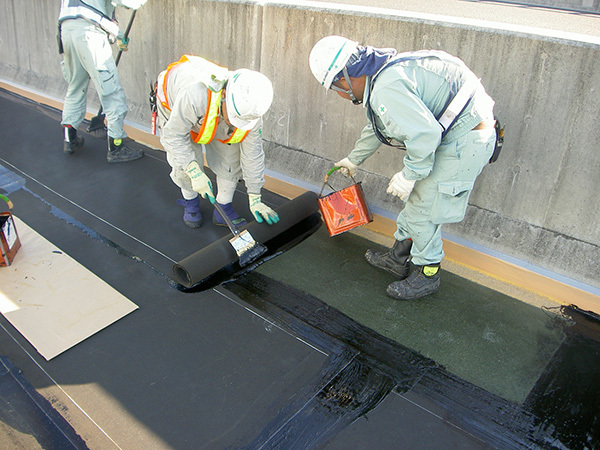 As the pioneer in deck slab waterproofing, Nichireki has concentrated its accumulated know-how into this deck slab waterproofing construction method to contribute to the lengthening of bridge lifetimes that is required these days. Confirmation testing that assumes a design durability of 30 years has been passed. 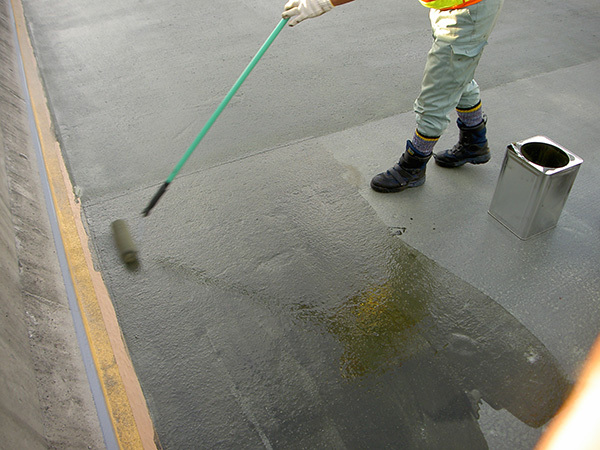 Compared to previous waterproofing, resistance to blistering has been greatly improved. 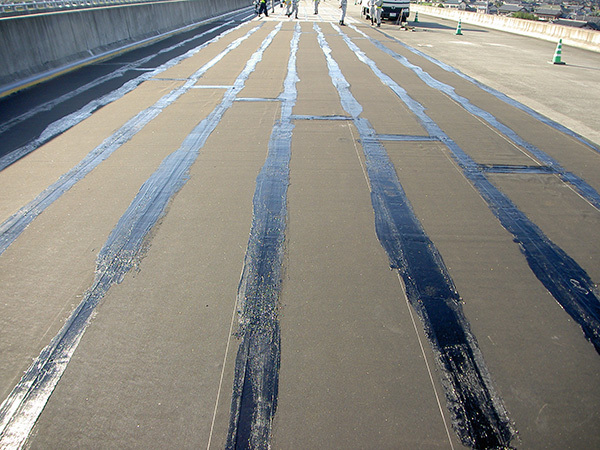 As this is an asphalt sheet-type waterproofing construction method, the adhesion with the paving will also be secure. This high performance waterproofing construction method satisfies the NEXCO standards.